Changes in the earth's albedo have also been implicated in climate changes. Although large-scale cultivation, irrigation, damming of rivers to form lakes, and cutting down of forests all result in changes in the earth's albedo, these causes have heretofore been considered minor. The possible results of volcanic and other dusts in the atmosphere have, however, been investigated fairly extensively. 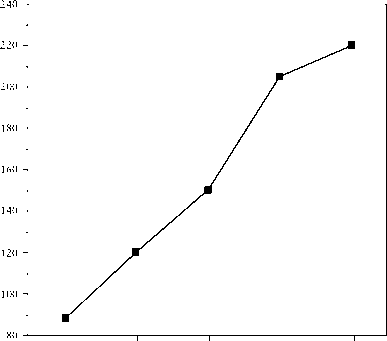 FIGURE 3-15 Index of volcanic activity, in arbitrary units, that is proportional to the relative amount of material injected into the stratosphere in various 10-year periods. Redrawn from Inadvertent Climate Modification Report of the Study of Man's Impact on Climate (SMIC). Copyright © 1971. Used by permission of MIT Press. weeks or months, but the sulfuric acid aerosol droplets can remain in the stratosphere for years. The 1982 eruption of El Chichon in Mexico apparently cooled the surface of the earth for several years because of the large amount of sulfuric acid aerosol formed afterward from sulfur-containing gases. The aerosols from the eruption of Mount Pinatubo in the Philippines and of Mount Hudson in Chile in 1991 apparently also caused global cooling for close to a year. It has been postulated that a large amount of dust and soot would be released into the stratosphere during a major nuclear war. For various reasons, this dust and soot would probably remain aloft for about one year. This would then increase the earth's albedo to the extent that considerable cooling of the earth would occur over several years. Calculations indicate that the earth could cool up to 1°C for several years (recall that the difference between an ice age and an interglacial period is about 5°C). This scenario has been called "nuclear winter,'' and it includes major changes in precipitation and a probable depletion of the ozone in the stratosphere. Thus, this scenario includes a major disturbance of agriculture all over the earth in addition to depletion of the ozone layer that protects the surface of the earth from high-energy ultraviolet radiation.